This self-hypnosis can help to overcome spider phobias. Fear of spiders is very common. Their erratic movement and scary appearance may have something to do with this, but according to research, arachnophobia is mainly adopted from someone else or learned because of negative experiences. 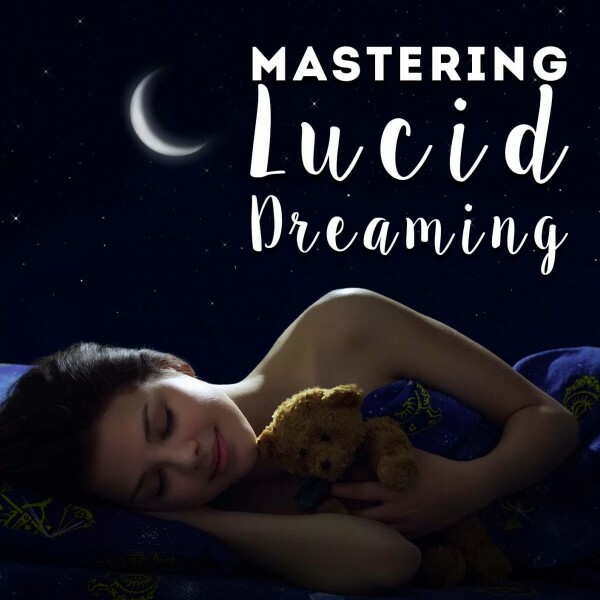 Keep reading to learn more about this hypnosis and how it can help you. Do you have a fear of spiders? Do you avoid a room when you know there is a spider inside? Do you check your bedroom for spiders before going to sleep? Do you live in an area that has a big population of spiders? 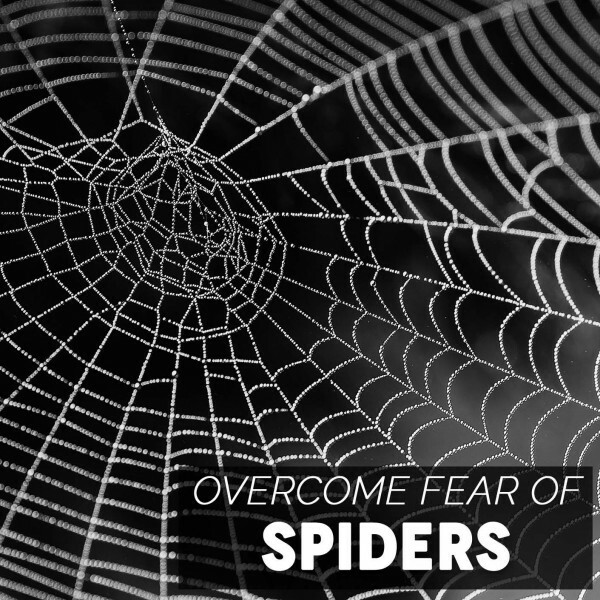 This self-hypnosis download may help you to overcome your fear of spiders. Listing the reasons people have for fearing something with eight eyes may seem redundant, but when looking at the causes of arachnophobia, it is interesting to see that fear of spiders has little to do with a spider’s appearance or even the fact that it can bite. Small children or babies with little life experience may be more prone to touch a spider. This is because their subconscious minds and beliefs have never been influenced by experiences, movies or someone else’s fear of spiders. If your fear of spiders is extremely negative and unrealistic, your behavior and reaction to spiders may lead to anxiety or compulsive behavior like checking under tables or behind curtains for spiders. This can waste time and increase your fear. This hypnosis can help you by replacing your fear with positive, realistic information that may affect your behavior accordingly. When you subjectively realize that spiders are not as dangerous, you will be more relaxed in dealing with one that came into your space. This hypnosis can also be ideal for people who inherited arachnophobia. In the same way, your belief system can be altered to subjectively believe the truth about spiders. When you reach a point where you are no longer afraid of spiders, you may be able to walk in your garden and sleep in your bed without ever worrying about spiders. You will be able to appreciate the ecological role that they play and live your life in peace. Choose a program below that will meet you needs to start the process of beating your phobia. "I'm grateful to Dr. Steve G. Jones for his guidance as my mentor, coach and path finder. For anyone who wants to live a self-satisfied life, I am recommending them to get in touch with Dr. Jones." Do you want to ask us a question about hypnosis or find out more about the Overcome Fear Of Spiders Hypnosis program? Our customer happiness team answer all questions personally and promptly during our regular business hours. There are different ways to use hypnotherapy to overcome the fear of spiders, for example, Hypno-Psychotherapy, solution focused hypnotherapy, hypnoanalysis and much more. 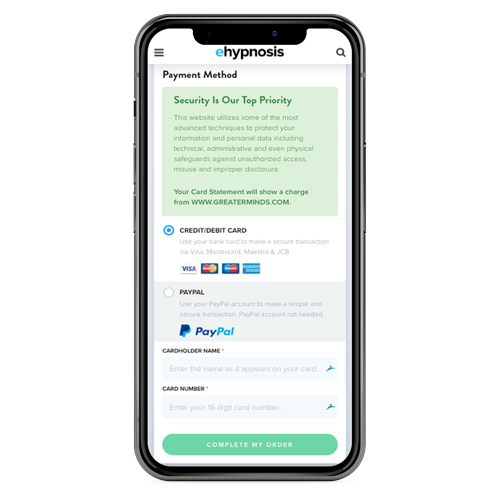 This particular self-hypnosis download specializes in helping you to beat your arachnophobia by giving suggestions to your subconscious mind. You can use it by playing the recording and listening to it in a place and position that is comfortable and quiet. 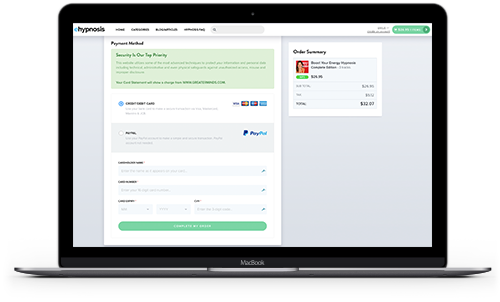 You can increase the effectiveness of the download by being fully committed to the hypnotherapy and following the instructions closely. 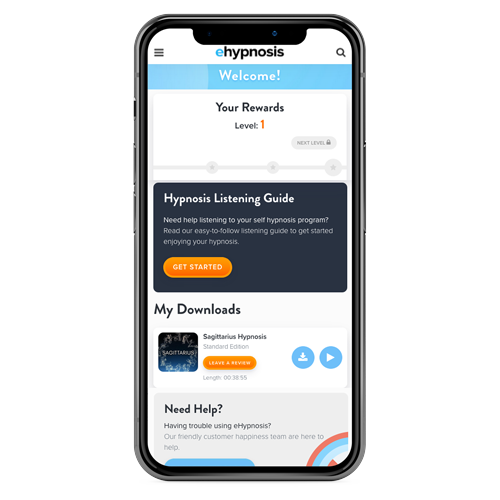 Every person has a unique level of susceptibility to hypnosis and you may have to listen to the recording multiple times before seeing results. You may find the treatment deeply relaxing and good for your overall wellbeing. It may help you to sleep better and be more productive during the day. 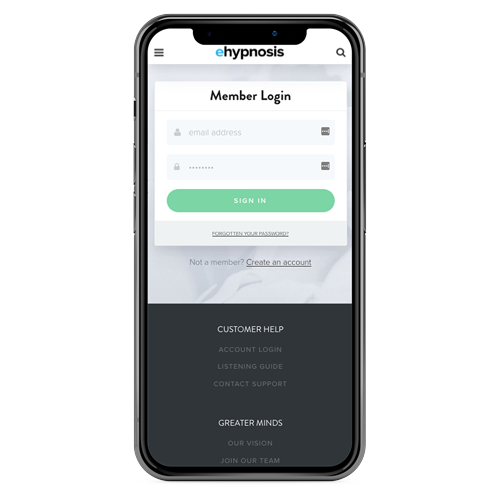 It may be worth your while to make sure that your tasks for the day are complete when you listen to the hypnosis so you have no distractions or responsibilities that require your attention. The hypnosis makes use of relaxation and creative visualization techniques that are formulated specifically for the fear of spiders. As you listen to the download, you may enjoy the profound relaxation and tranquility that this treatment offers you. Does Hypnosis Work To Overcome Fear Of Spiders? Your fear of spiders is located in your subconscious mind where it manages your default thought processes, emotions and behavior. At some point in your life, you may have realized that spiders are dangerous and developed a fear of them. Being careful around spiders is a good thing, but when you subjectively start to believe that you need to fear spiders, it can have a limiting effect on your lifestyle and happiness. 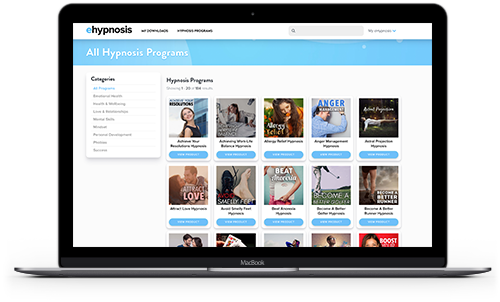 When you are undergoing hypnosis, you are given a set of instructions that will induce deep relaxation and increase your brain’s alpha waves. In this state, your conscious mind becomes passive and your subconscious mind it brought to the foreground where is susceptible to hypnosis. Positive, realistic information is then given to your subconscious mind to replace your phobia. When this is done effectively, it may have a positive influence on your behavior as well, lifting your fear of spiders. Take a moment to think how your life will change when you are no longer afraid of spiders. Listen to this recording every day as part of your daily routine. It may just be the thing to eliminate your fear and help you live your life in peace.